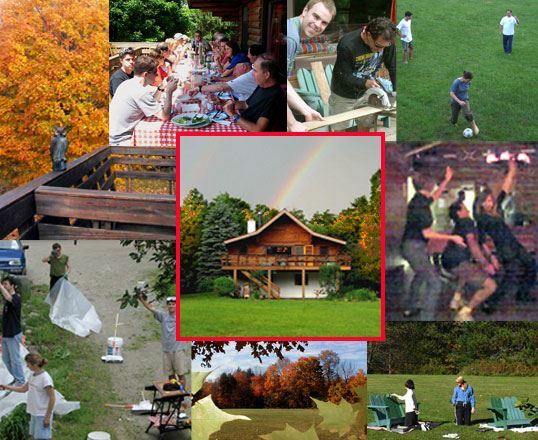 Our lodge needs tender loving care to stay beautiful, and we provide the labor ourselves. Most of Saturday will be work. Half of Sunday and Monday will be leisure time. Lodging and food are free to all participants. BONUS: choose ONE night, before (Thursday) or after (Monday), to stay for FREE (No food provided), let Erich, our organizer for the weekend, know (food is not provided for those nights). the Mad Bavarian Brass Band and photo booth fun. 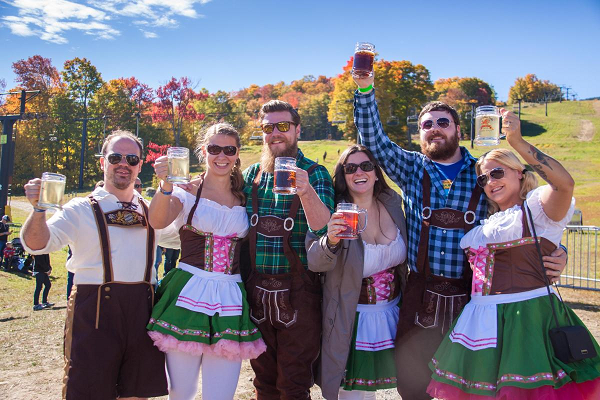 Compete in the stein hoisting competition, keg tossing, and corn hole tournament for a chance to win lift tickets for the coming winter season. For help with carpool rides or to offer one, email Erich, reservationist, at ColumbusDay@SwissSkiClub.org. Send work suggestions to Pat and Lyall at WorkPlay@swissskiclub.org. Lodging and food for this event are free. For carpool policy and other details, see our Rates and Procedures page.